Two diabetes drugs, Lilly and Boehringer Ingelheim’s (BI) Jardiance and Novo Nordisk’s Victoza, have shown they can go beyond lowering blood sugar, and actually save lives and cut heart attacks and strokes. 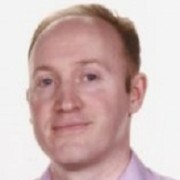 Andrew McConaghie talks to Novo’s chief science officer Mads Krogsgaard Thomsen about the competition and the future of diabetes care as the company vies to maintain its dominance in the field. It’s not often that a presentation of clinical trial results gets a standing ovation from hard-to-impress European doctors, but that’s exactly what happened when data on diabetes drug Jardiance was unveiled in Stockholm last year. The audience at the European Association for the Study of Diabetes (EASD) congress spontaneously rose to its feet and applauded when investigators reported the results of Lilly and BI’s EMPA-REG study. Jardiance had dramatically cut the risk of non-fatal heart attacks and strokes and cardiovascular deaths in high-risk type 2 diabetes patients, reducing these major adverse cardiac events (MACE) risk by 14%, and cardiovascular death risk by 38%. This is a first for any diabetes drug, and could eventually transform treatment of the disease, going beyond simply controlling blood sugar to preventing the serious life-shortening problems the condition causes. More than half of adults with type 2 diabetes worldwide die due to cardiovascular causes, and any drug which can prevent heart attacks and strokes and other conditions will make a huge impact – and also become major moneyspinners for pharma. 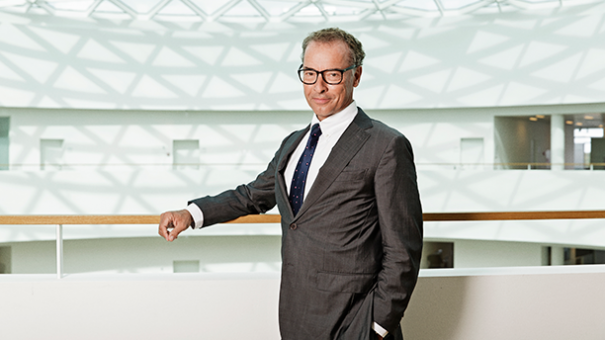 One year on, Lilly and BI are on the verge of gaining a new FDA label to market Jardiance, (in the SGLT2 inhibitor class of drugs) as a ‘cardioprotective’ agent – but meanwhile rival Novo Nordisk is hot on their heels with data on its GLP-1 drug Victoza. In June this year, Novo replied with its own LEADER study, producing a 13% reduction in MACE events, and a 22% cut in cardiovascular death. While this result is impressive, the comparison between the topline figures suggests Jardiance has the edge in preventing heart attacks, strokes and death. Add to that the fact that Jardiance is a once-daily pill, compared to Victoza’s daily injection, and Lilly and BI certainly look to be in the lead. But Novo Nordisk is the world’s biggest diabetes company, and is determined to stay ahead of the field. There were no standing ovations at EASD one year on, but Novo’s SUSTAIN-6 trial of its next-generation GLP-1 drug semaglutide was seen as the star of the show. Semaglutide could be the best yet in preventing heart disease, the small-scale SUSTAIN-6 study showing it cut cardiovascular risk by 26%, putting it ahead of Victoza and Jardiance. The weekly GLP-1 drug is set to be filed later this year, and could eventually give Novo the lead – especially if an oral formulation of the drug currently in development proves successful. But in the meantime, Novo is focused on gaining a ‘cardioprotective’ licence extension for Victoza. This, it hopes, will persuade many doctors to switch patients away from pills such as Merck’s Januvia, currently the biggest-selling type 2 diabetes medicine, which has failed to show heart benefits in its own trials. 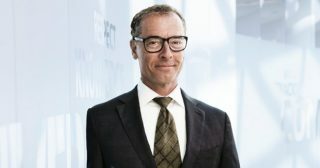 Pharmaphorum spoke to Mads Krogsgaard Thomsen, Novo Nordisk’s chief science officer and executive vice president at the recent EASD meeting in Munich. He said the LEADER trial was a major gamble, like ‘tossing a coin’ as to whether it could show any benefits or not: the 9,340 patients that took part in the long-term trial were high risk and already showing signs of cardiovascular disease. He believes that the LEADER results – in tandem with Jardiance’s EMPA-REG data – will be game changers for diabetes. The company is now set to submit a new supplemental filing for Victoza within weeks, with the aim of gaining an efficacy update and a safety update – Thomsen states that the LEADER trial also ‘lays to rest’ concerns about serious side-effects such as pancreatitis. The process will typically takes 10 months, so by summer 2017, Victoza could have its prized cardioprotective label. This will be the starting gun for promoting the drug as a cardiovascular disease preventer, not just a blood glucose lowering medicine. Jardiance looks set to be first to gain US approval with the new indication, though the final label will be key – an FDA advisory committee only narrowly recommended the drug in June, the experts voting 12-11 in its favour. 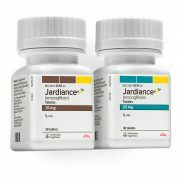 Jardiance has already gained its first approval in this indication, in Canada, and can now claim that it prevented one out of three cardiovascular deaths in trials. One key question is whether or not these stunning trial results from Jardiance and Victoza can be replicated in real life, as compliance levels in diabetes patients often deteriorate steeply over time. Thomsen believes the new data will change the dialogue between doctor and type 2 diabetes patient. “When you can tell me that here is a medicine that will reduce my risk of dying… I will start thinking, OK, it is not only a measure of a finger prick every morning. It is actually about whether I live or die, and live to see my grandchildren or great grandchildren. For Novo Nordisk, the approval can’t come too early, as its core diabetes business is being squeezed by price pressure from US payers, and compounded by the launch of biosimilar insulin analogues. Victoza currently has a US market share of 52% – still the market leader – but Lilly’s once-weekly GLP-1 Trulicity is making major inroads into its dominance. Most worrying for Novo was the decision taken by Express Scripts to lock out Victoza from its formularies. The leading US pharmacy benefit manager instead awarded the business to Lilly’s drug, almost certainly because of a lower price offer. Head-to-head studies have failed to show any of the rival weekly GLP-1s superior to the daily Victoza, and Trulicity’s own cardiovascular outcomes trial REWIND isn’t due to report until late 2018. This gives Novo time to establish Victoza in the cardiovascular prevention field alongside Jardiance, with its potential best-in-class weekly GLP-1 semaglutide also expected on the market by 2017. There are still many more questions to explore in diabetes outcomes; LEADER failed to show benefits to people with heart failure, while EMPA-REG did. This opens up another huge market for Jardiance, as there are 26 million patients worldwide with the condition. On the other hand, Victoza and semaglutide both show strong results in reducing the progression of kidney damage in type 2 patients, another huge health burden on health care systems around the world. Thomsen says the growing body of data will mean health systems will accept early and more assertive treatment with the new agents. Novo Nordisk has until 2023 before Victoza faces its first US biosimilars, by which time it hopes to have expanded the market for GLP-1s in established and emerging markets. Clinicians are already asking the obvious question – can Jardiance and Victoza be used together to produce even better cardioprotective results? AstraZeneca (AZ) has become the first to try to answer the question, presenting its DURATION-8 trial on the last day of the EASD conference. The trial combined AZ’s GLP-1 drug Bydureon and SGLT2 inhibitor Forxiga, and initial results showed the combination to be safe and effective, but with only a modest improvement in HbA1c levels compared to either drug alone. A semaglutide and Jardiance combination could provide more significant results, but such a trial doesn’t look likely for now. Novo has instead begun a head-to-head trial of the oral version of its drug against Jardiance, with results expected from March 2018.